A sculpture trail of balanced sculptures using discarded materials. 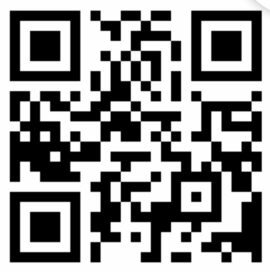 Use the QR code to locate assemblages. Unbalanced, by Byron Reece Jones, is part of a series of carefully assembled sculptures made of a wide range of discarded common materials. A prideful appreciator of lowly objects, Unbalanced is concerned with the ethics of re-use, made from everyday appliances and objects, such as a door, a refrigerator and a mop, all in some way referencing the human essential of home comfort and convenience. 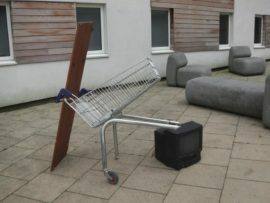 Highlighting the overlooked, Unbalanced IX, never allows the audience to lose sight of what the sculpture is made of, and how they are precariously arranged, putting into focus the equilibrium of the throw-away readiness of contemporary society and delivers new representation of ‘rubbish’.